Evening Primrose Oil provides an important omega 6 fatty acid called gamma-linolenic acid (GLA). Omega 6 fatty acids are essential nutrients needed by humans as part of the body’s metabolic processes. Most people cannot produce sufficient quantities of GLA from the diet for optimal health due to genetic limitation, nutrient deficiency or blockage by other dietary factors. 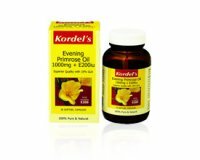 Kordel’s Evening Primrose Oil E is an ideal way of obtaining this important fatty acid. Kordel’s Evening Primrose Oil E provides the combined benefits of evening primrose oil and natural vitamin E to promote healthy skin and reduce premenstrual and menopausal symptoms. 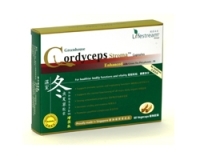 Take 1 capsule daily, after a meal.